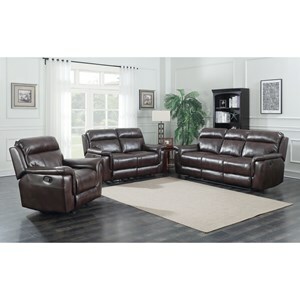 This sleek, casual sofa has everything you could need to comfortably accommodate several people in your home. 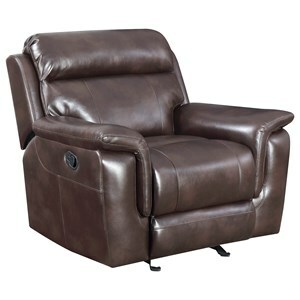 With three-way reclining mechanisms on each end, this piece takes family movie nights to a whole new level. 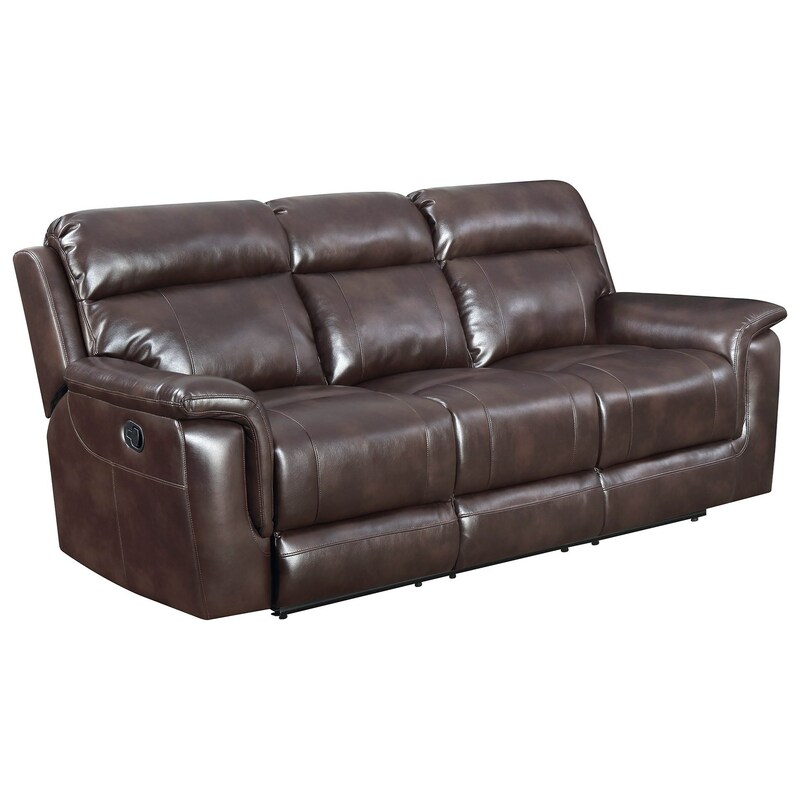 Pillow arms and an attached back offer additional dreamy comfort, and the padded polyurethane material of this reclining sofa imitates the soft texture and pliancy of leather without the expense. The beautiful cafe noir color and grey color choices are easy to match with any existing home decor, and will provide an inviting warmth to your space. 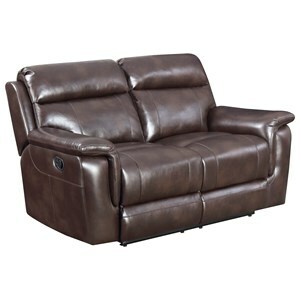 The Dakota Lay-Flat Reclining Sofa by Belfort Essentials at Belfort Furniture in the Washington DC, Northern Virginia, Maryland and Fairfax VA area. Product availability may vary. Contact us for the most current availability on this product. The Dakota collection is a great option if you are looking for Casual furniture in the Washington DC, Northern Virginia, Maryland and Fairfax VA area.